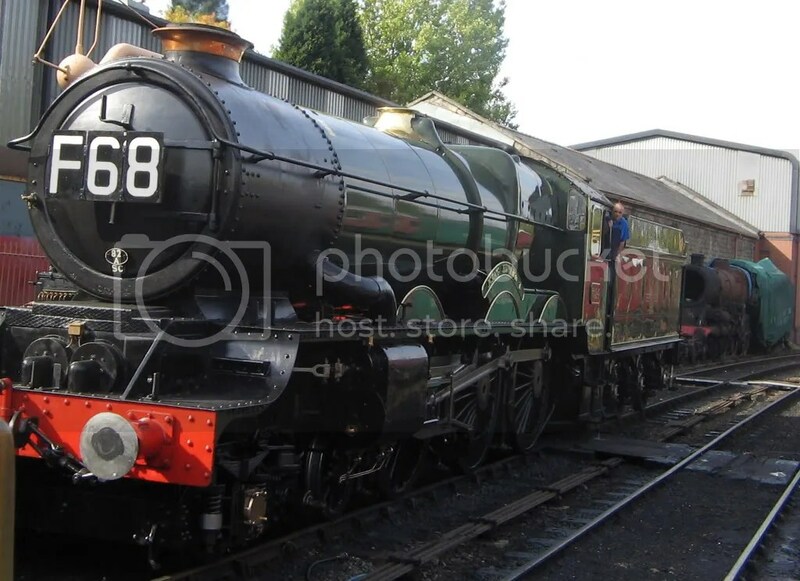 This years Annual Severn Valley Railway Autumn Steam Gala takes place between the 23rd 24th and 25th September 2011. Visiting Locomotives this year will be. GWR Castle class 5029 Nunney Castle Was due to visit but has been withdrawn and will now be replaced by GWR 5101 clas No 4160 from the West Somerset Railway. Whilst I was down there I trevelled behind 6024 King Edward going to Highley, and 60163 Tornado coming back. Which was an experience. n addition The Book Shops at both Bridgnorth and Highley Station were open, a Miniature Railway Layout was running at Hampton Loade Station and the trains were running all Friday Night/Saturday Morning. The Workshop and Boiler Shop at Bridgnorth Station are also open to the public, so visitors had a rare opportunity to see Locomotives which are mid-way through being restored. Ivatt Class 4 no 43106 (AKA The Flying Pig).